A project that has been over 12 years in the making added an impressive accomplishment to its history on June 8th, 2011. 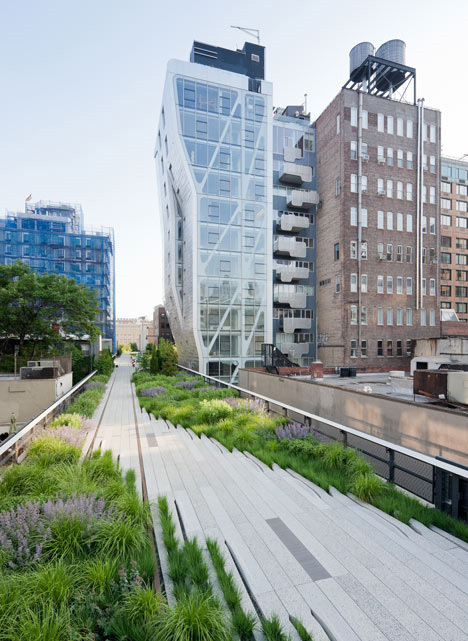 The High Line, a New York City public park that was built on the remains of an elevated railroad track, added its second public section that day, bringing the total completed length of the park to one mile. 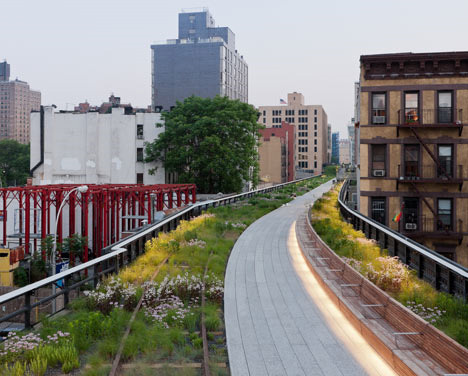 The amazing High Line park has a rich history going all the way back to the early 20th century when the elevated rail line was originally built. 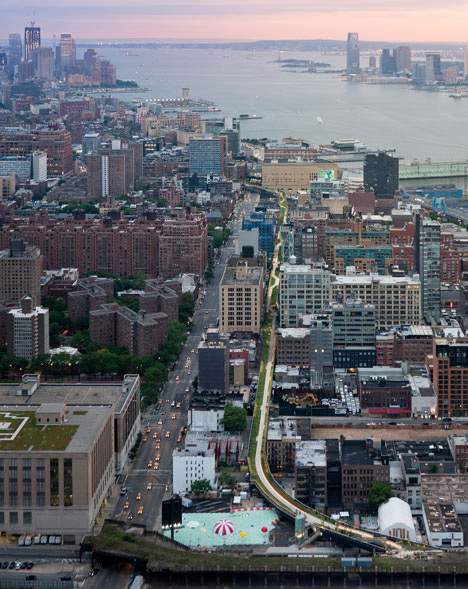 In the late 1990s when the line was in danger of being demolished, a neighborhood group called Friends of the High Line was formed to lobby for its preservation. The group was successful and the first phase of construction began in 2006. The first section of the park was completed in 2009 and added a welcome new public recreation area to the neighborhood. 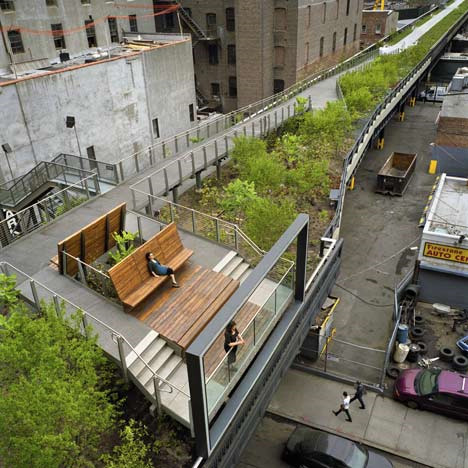 The second section expanded the project’s impact on the neighborhood and the city as a whole. 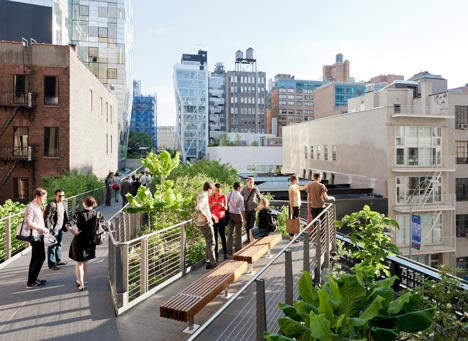 Section two is both a continuation of the park and a new interpretation of the High Line’s revised relationship with the city. This new portion features a patch of lawn which visitors can use to socialize, sunbathe and relax, enjoying a unique chance to enjoy nature in the midst of an otherwise stark industrial neighborhood. 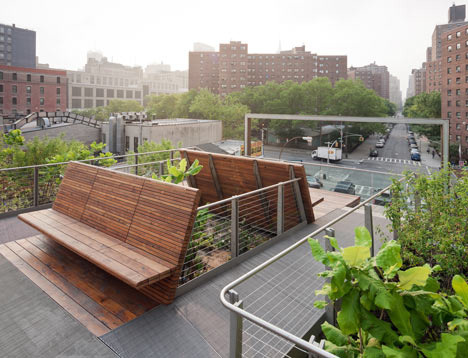 A viewing platform in the new park section allows visitors to look down on the main portion of the High Line while extensive lengths of benches give everyone a chance to sit down and relax in this unique green space. The pathways on the High Line were intentionally designed with cracks between the pre-fab concrete sections. The cracks allow native grasses and other vegetation to reclaim the formerly barren surfaces. Walkways fade from one direction to another, drawing an organic shape into the vivid green vegetation and perfectly blending the man-made elements of the park with the natural elements. 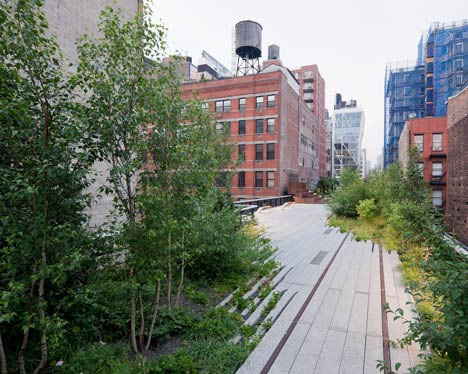 The project is a massive collaboration between the city and the Friends of the High Line, along with James Corner Field Operations, project lead, with Diller Scofidio + Renfro and Piet Oudolf. It is an excellent example of humans working in defense of both nature and the history of our man-made world.